If you’re waiting for Nokia’s Android phone, here’s a picture of its launcher. 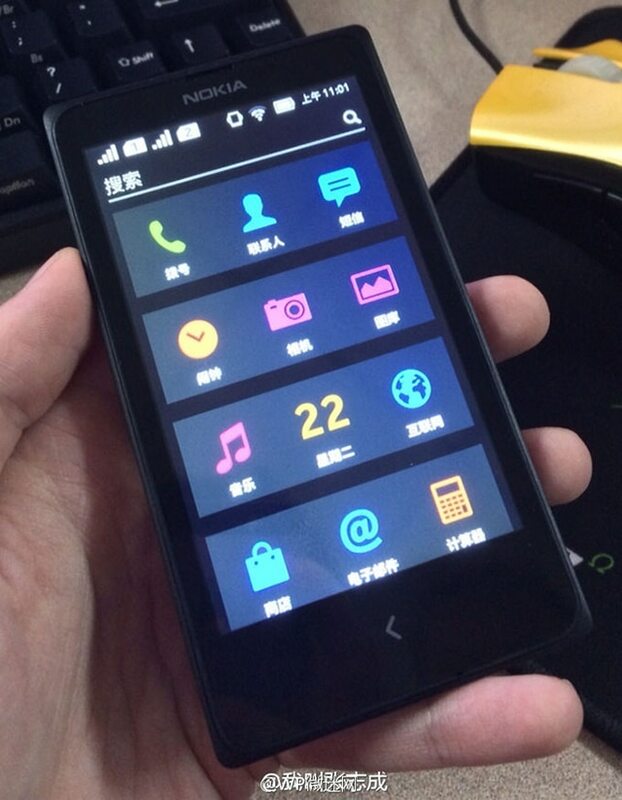 A user from Chinese site weibo.com uploaded the picture above of what appears to be a prototype of upcoming Nokia Android-powered phone. The picture shows the phone screen showing Nokia’s Android app launcher UI. Since this a prototype, the launcher doesn’t seem to be polished yet. The Nokia Android-based phone, codenamed Normandy, is rumored to be officially announced next month and will support most Android popular apps.